Cláudio Calasans had beat Bráulio Estima in the 83 KG final and with it came the $8K in victory money. With the Absolute Championship on the line and $20K for the winner both competitors were vigilant with Calasans over Bráulio to win the title. 65kg: – Rafael Mendes defeats Guilherme Mendes, brother beats his brother 4 points to 2. Both brothers got tot he finals through submitting their challengers quickly in the semi’s. Refael had 2 fights to Guilherme’s 3 in the path to the finals. 74kg: – Gilbert Durinho defeats Claudio Caloquinha, by Shoulder Sweep for the $8K money. Previous PostNY International Open Jiu-Jitsu Chapmionship is May 1! 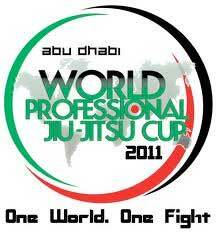 Abu Dhabi World Pro Results (2011,SD) Mendes, Galvao Win!